This is a game about SHEARING SHEEP. It is VERY silly. 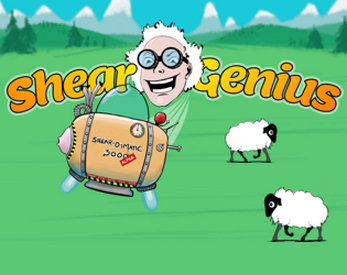 Fly the Shear-O-Matic 3000 (alpha) to shear as many sheep as possible before time runs out. Shear multiple sheep at once (you must be quick!) to increase your score.